Motocross is a daring and thrilling sport made only for the brave and skilled. 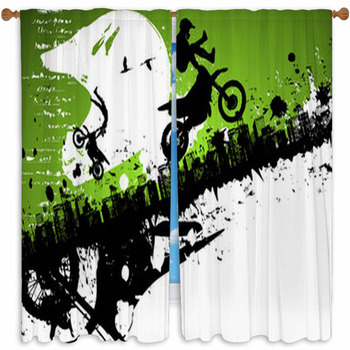 Whether you're a motocross competitor, still waiting to get your first bike, or want to make a great gift for your son or nephew, choose a set of motocross window curtains or drapes. 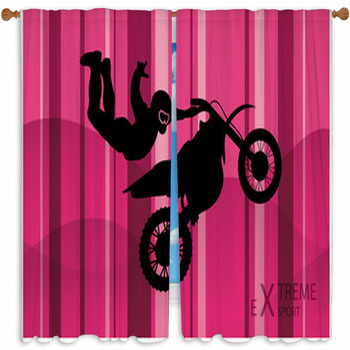 Turn your bedroom into a motocross stadium with window curtains displaying a stylized image of an illustrated silhouette of a motocross biker hanging onto his bike with one hand and no legs as he flies through the air against a deep pink, light pink and maroon striped background. 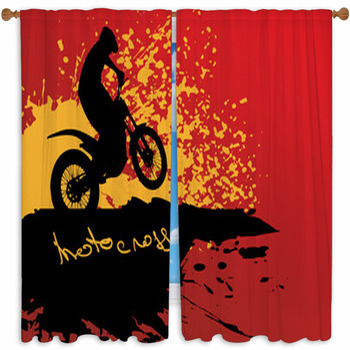 Or choose a rougher design for your custom sized window curtains, such as a black and white photo image of the silhouette of a motocross rider launching through the air, with dark clouds and trees behind him, a biker in orange and white gear doing a wheelie on his orange bike on a rugged rural motocross track, with green trees and blue skies around him, or the black and white illustration of a tough motocross biker kicking his bike into high gear, blended into a white background. 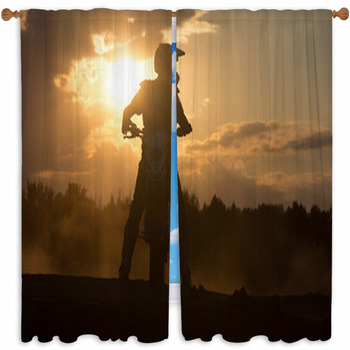 You can also choose motocross window curtains featuring just a bike, whether it looks like yours is the one you want to have, including the close up photo of the front end of a blue and white motocross bike covered in dust, with its front tire dug a couple of inches into a mound of dirt, and a pond, a row of trees, and cloudy white and blue sky behind it. If you want an ever closer shot of a bike on your window curtains, you'll love our image of a motorcycle's gears and axle. 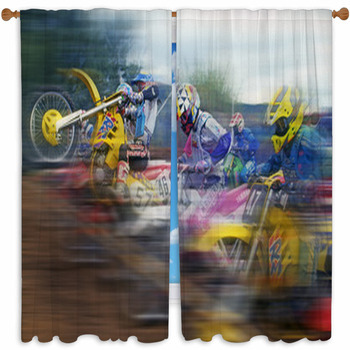 And if it's the thrill of the race that drives you wild, prepare for the winner's glory with shower curtains showcasing a crowd of motocross drivers fighting for the finish line. 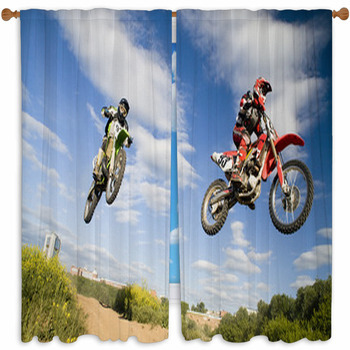 Revisit old thrills of riding motorcycles and doing breath taking stunts with our great selection of custom size motocross window curtains. 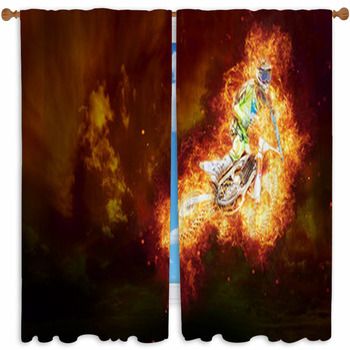 You better get ready to feel sentimental when you see the awesome designs that capture the spirit of this extreme sport that you have grown to love. Or, when you're not that old, get ready to be inspired to take out a bike and learn to ride it, eventually learning to do some stunts, and maybe even competing when you're really that good. 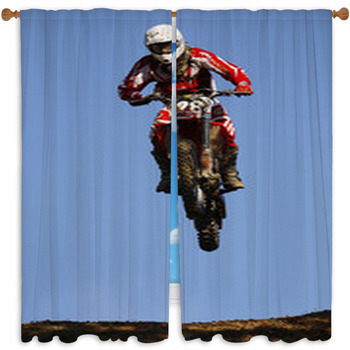 Either way, this motocross window curtain is perfect for your adrenaline-building dirt bike fantasies. 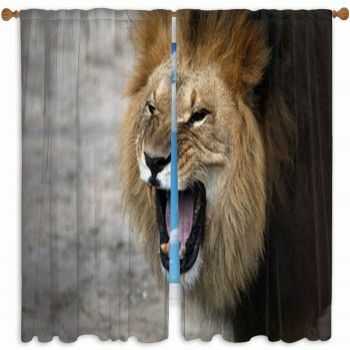 You can choose from over hundreds of designs that would completely rock out your room and give the right amount of excitement it deserves. 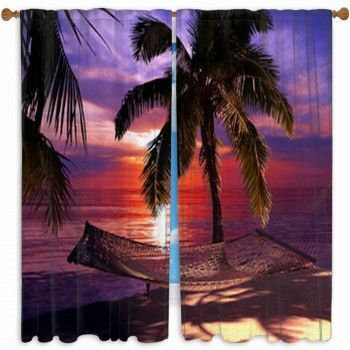 So whenever you have friends over, they'd think of how cool of a person you are, what with all the amusing window curtain you have in your room and stuff. 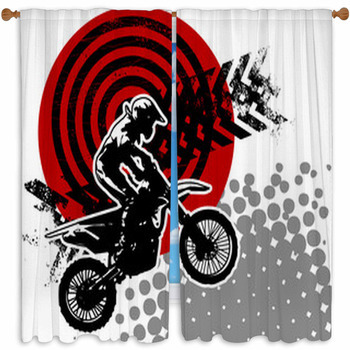 There's no greater way of telling them you're into motocross than by having that extreme sport plastered all over your windows. To give you a heads up of what you're going to see, there are designs that goes from the simplest to the most complicated ones. 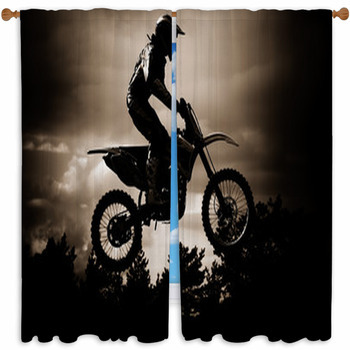 There's a minimalist design that only shows a motocross rider with a plain white background, some designs which features a dramatic jump from a motocross rider in a black and gray background, and another with a motocross rider looking like an angel as he soar high above the clouds with the rays of the sun backing him up to look more glorious than he already is. These and so much more as you go over all that we have in stored for you. 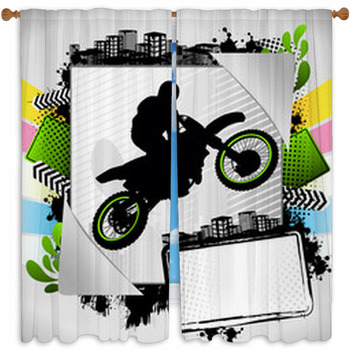 So feel that rush, that urge to rev the engine and go the distance and let these motocross custom size window curtains be a part of the adventure that awaits you.